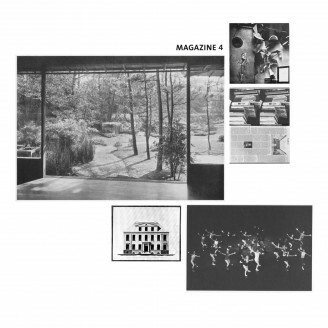 Collaborating in art, music and science since 1999, recently founding the label MAGAZINE and the collective Cologne Tape, this is nevertheless the first time Barnt, Crato and Jens- Uwe Beyer appear together as one formation, simply called MAGAZINE. If you combine their recent releases - Barnts stunning debut EP "What Is A Number, That A Man May Know It? ", Crato's acclaimed and mysterious "30.6.1881", J-U Beyer’s incredible sound work on his highly respected last album (with Jaki Liebezeit’s Drums Off Chaos) and add the Cologne Tape recordings you can get an idea of the formation’s cosmos — but you are not quite there... Living in Cologne the past decade with exceptions of some years spent in London and Manchester, the group is based on DJ-culture as much as on the german electronic music tradition as you will hear: The whole record is pockmarked with overflowing melodies — sometimes well structured, sometimes wild and wooly. Sum up Hieroglyphic Being-like arpeggios and transparent, highly original computer rhythms or strange eight-oh-eight- live drumming and choir-or-not-like sounds and you get these strange dance floor moments again – Impossible to make out whether the peculiarity of this EP’s sound is all intentional or accidental. The artwork continues the conceptual MAGAZINE series on high quality, heavy stock – something to hold in your hands!